Supports the IEEE 802.11/802.11b Direct Sequence Spread Spectrum Specification. Supports IEEE 802.11b CSMA/CA Specification. Support Full Mobility and Seamless Roaming across Wireless Routers. The ASUS WL-161 USB adapter driver and utility progrm in Multilingual version (English, Simplified Chinese, Traditional Chinese, Spain, France, German, Italy, and Japanese) for Win2k/WinXP, version 1.04. 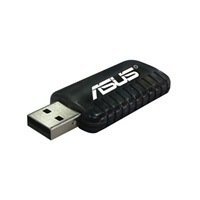 The ASUS WL-161 USB pen type adapter utility progrm in Multilingual version for Win2k/WinXP. SiS 162 usb Wireless LAN Adapter Driver.